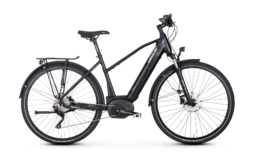 Advanced e-bike - design meets comfort. 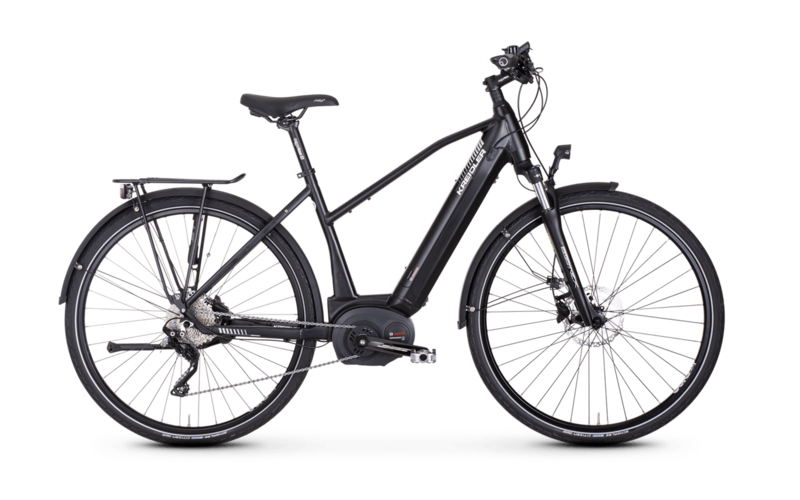 Black, matte, sporty - the Vitality Eco 8, available in three frame shapes, speaks a clear design language. 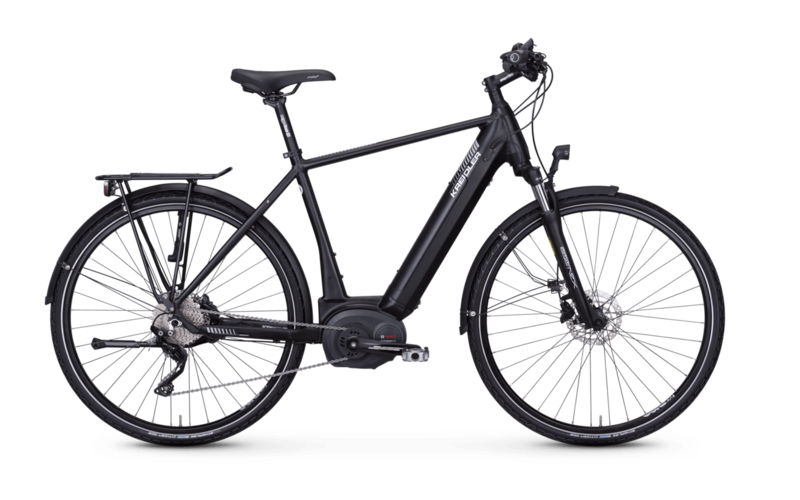 The "Made in Germany" trekking e-bike was developed for sporty riders who use their e-bike in daily continuous use or on tours. The Bosch Performance CX drive offers dynamic pedal force support - the necessary power is provided by the fully integrated Bosch PowerTube with 500 Wh. A Shimano Deore XT 1x10 rear derailleur shifts precisely and reliably. The Bosch Intuvia on-board computer with an additional control unit on the handlebar grip recommends the optimum gear. The Ergon grips and the Milo Plus saddle from Selle Royal with FlexFoam technology optimise pressure distribution - which is particularly important on long journeys. 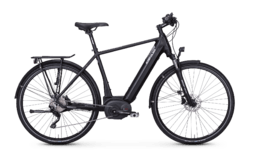 And the rest of the equipment is also designed for a long e-bike friendship - from Shimano disc brakes to Marathon tyres from Schwalbe and Racktime luggage racks to LED lighting with parking lights.